click here to find "baby's breath" on Amazon. the second edition chapbook is now available for purchase in full color paperback. the 50 limited signed and numbered editions are sold out. thanks to everyone who bought one! you can find out more on the villipede publications page for "baby's breath" here, or go to my recent blog post about the chapbook going live and being spotted in the wild. you can also add "baby's breath" to your goodreads shelf here. “‘Baby's Breath’ takes an incisive and unblinking look at how the most beautiful moment in life can turn into the most horrific. Sydney Leigh renders a character that at once frightens us and gains our allegiance. 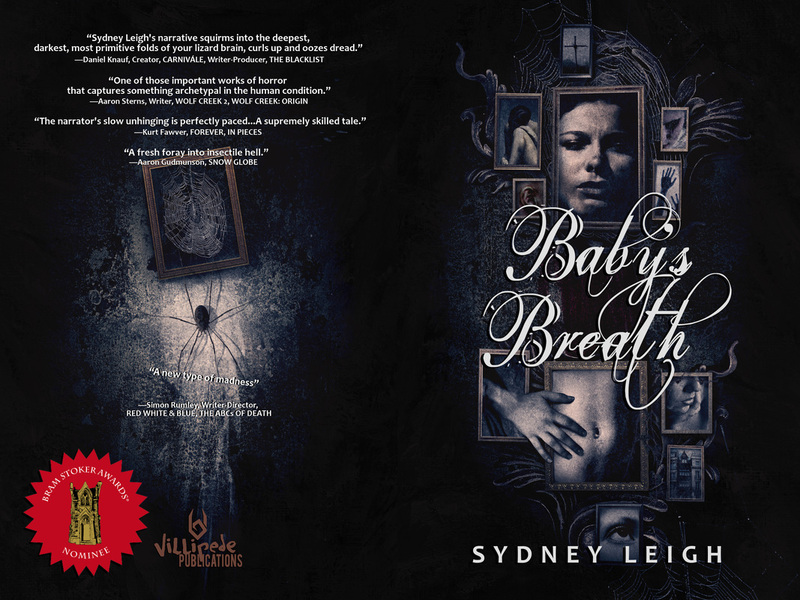 “In ‘Baby’s Breath,’ Sydney Leigh achieves something rare by balancing perfectly phrased prose, dangerously brilliant psychological insight, authentic dialogue, and water-tight plotting to transcend the known dimensions of horror. 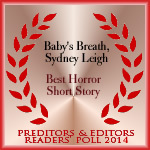 Leigh’s short story is a monstrous child created with the uncanny power of a new master. to make the story as viscerally disturbing as it is psychologically unsettling. and an inability by the main character, a pregnant woman named Diane, to face the truth. —Simon Rumley, director of Red White & Blue, The Living and The Dead, & The ABCs of Death segment "P is for Pressure"
“A heartbreaking story, all the more powerful for how deeply personal it evidently is. and her resulting grief pushes her to carry out a shocking act of revenge.